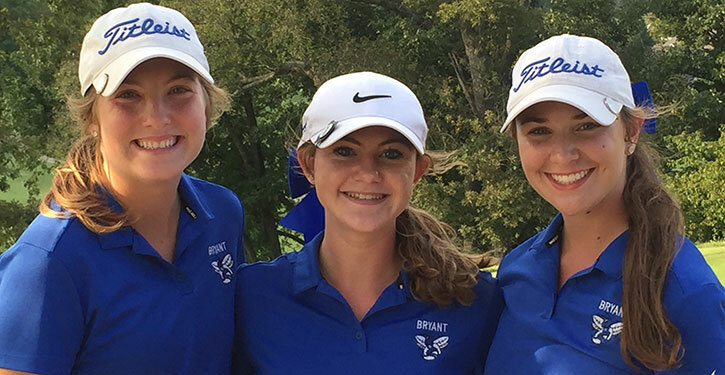 ROGERS — Though they didn’t qualify as a team, each of the Bryant Lady Hornets’ scoring golfers will play in the Class 6A State golf tournament as individuals at Shadow Valley Country Club on Wednesday. With 12 complete teams in the field, four schools brought individuals but not the three required for a team. Half of the field, six teams, advance to day two. Bryant finished fourth in the 6A-Central Conference and eighth overall. Cabot won the Central title with a team score of 286. Fort Smith Southside was second at 302. Bentonville won the 6A-West with a team score of 258. Along with Cabot, Southside and Bentonville, Rogers, Fayetteville and Springdale Har-Ber will be in the field for the team State title on Wednesday. Bryant’s Catilin LaCerra, a freshman, turned in an 18-hole round of 98, seventh among Central players. North Little Rock’s McKenzie Lee was individual conference champion with a found of 70. Lilly Thomas of Bentonville had the best round of the day with a 68. Brooklyn Waller shot a 105 for the Lady Hornets and Meredith Medford carded a 117. All three girls advanced as individuals. After the top six teams, they were among the next eight best individuals, thus qualifying for State.